Reims has always been one of those cities that I have known as a quick stop-over when en-route to France for holidays in years gone by. 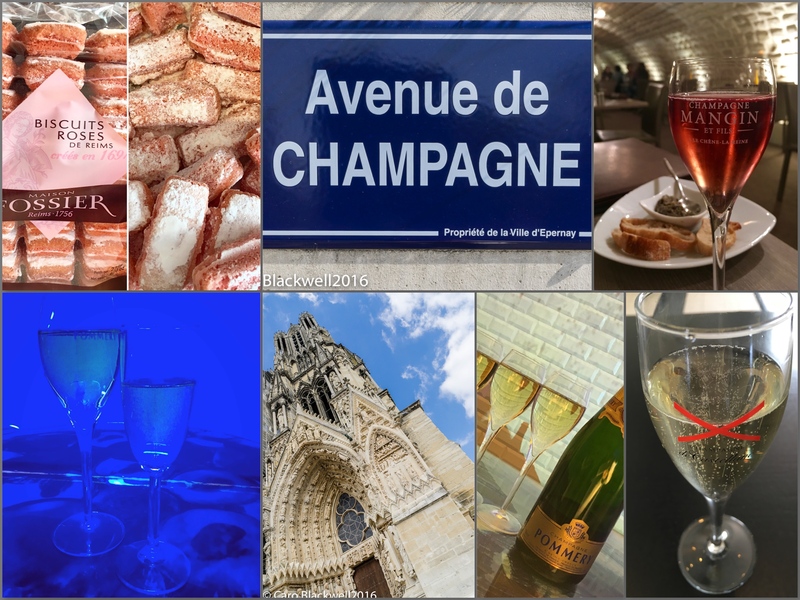 Often an overnight stay in some hotel just off the autoroute and apart from knowing that it is in the champagne region of France, I had very little other knowledge of this wonderful city and some of the amazing sights and tastes it has to offer. The reason for that is probably desperate to get to the beach or on the piste! So when I got the opportunity to visit recently I’m delighted I did! 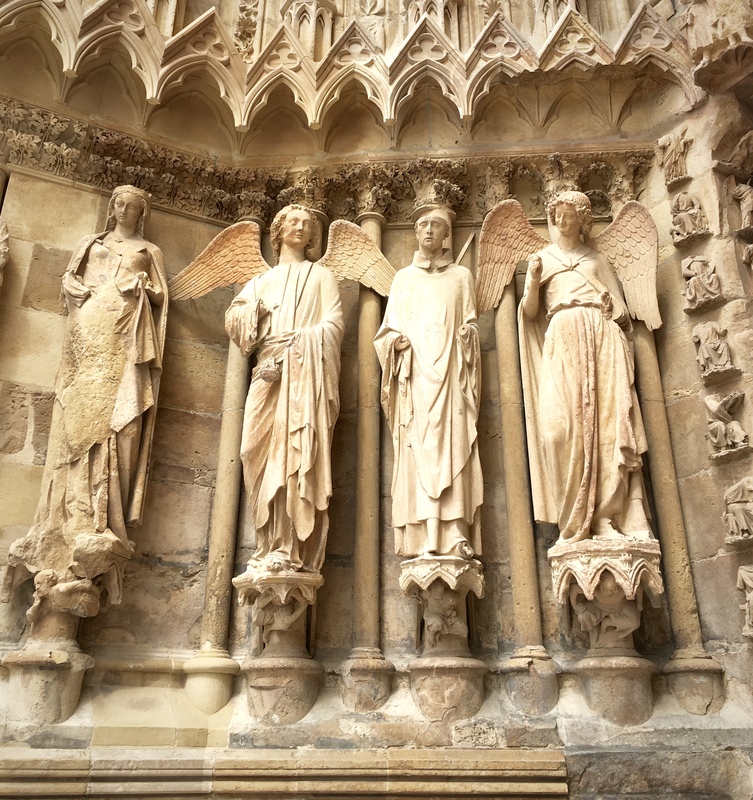 Reims – pronounced as “reams” if you are one of the many Brits who pass through but pronounced very differently (and correctly) as “rans” with a nasal emphasis on the a if you are French. 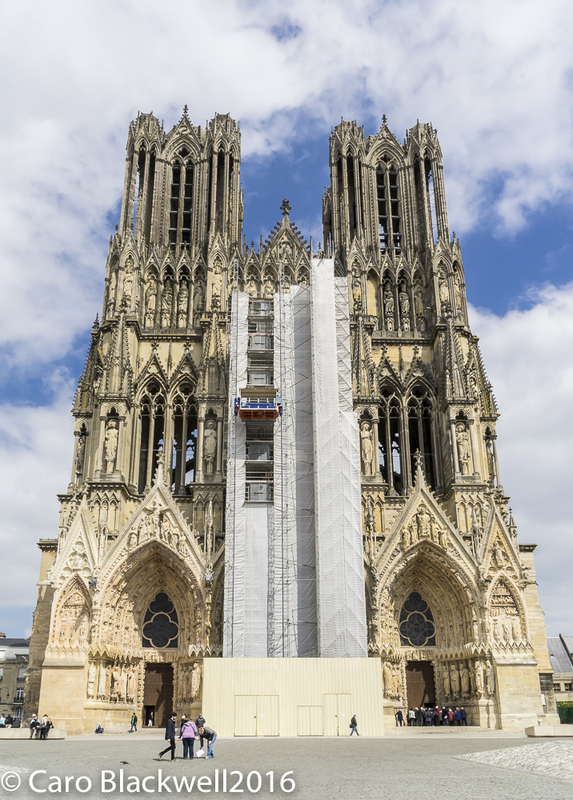 The front of The Notre Dame Cathedral in Reims – shame about the scaffolding! Reims is in the department of Marne in the Alsace-Champagne-Ardenne-Lorraine region of France about an hour north-east of Paris and easily accessible from Paris by train. It is a city steeped in Roman heritage, loaded with monuments, roman gates, statues and Gallo-Roman sites. The majestic Notre Dame Cathedral built in the 12th Century stands tall and can be seen from most areas of the city. The cathedral has been a UNESCO world heritage site since 1991. The stained glass in the cathedral is amazing and a history of each piece is detailed in both English and French. 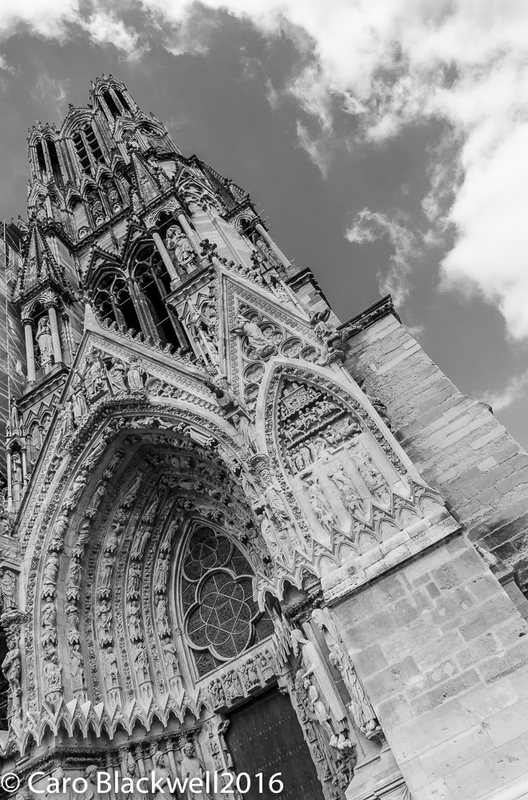 This cathedral has played a very important part throughout French history, many Kings of France have been crowned here. For a fuller history of this cathedral please click the link here to wikipedia. Note the figure on the right in the photo above. 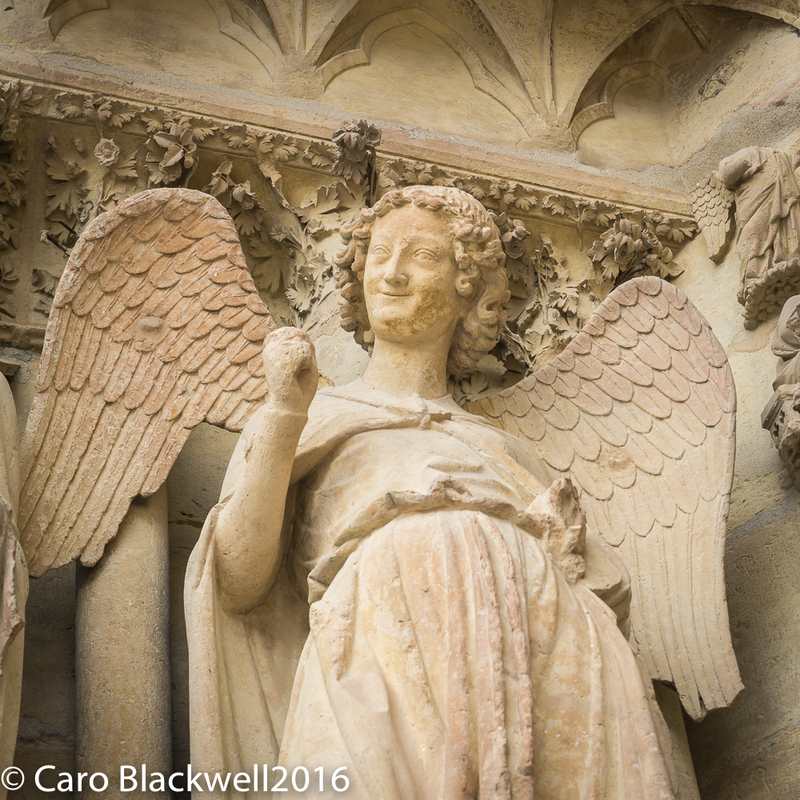 The Smiling Angel (L’Ange au Sourire) is also known as The Smile of Reims (Le Sourire de Reims). She was carved between 1236 and 1245 but was beheaded by a German shell in WWI. The head was collected and stored and after the war the head was molded and preserved. It was restored then put back in 1926. So enough of the sights and onto the tastes, if history is not your thing. 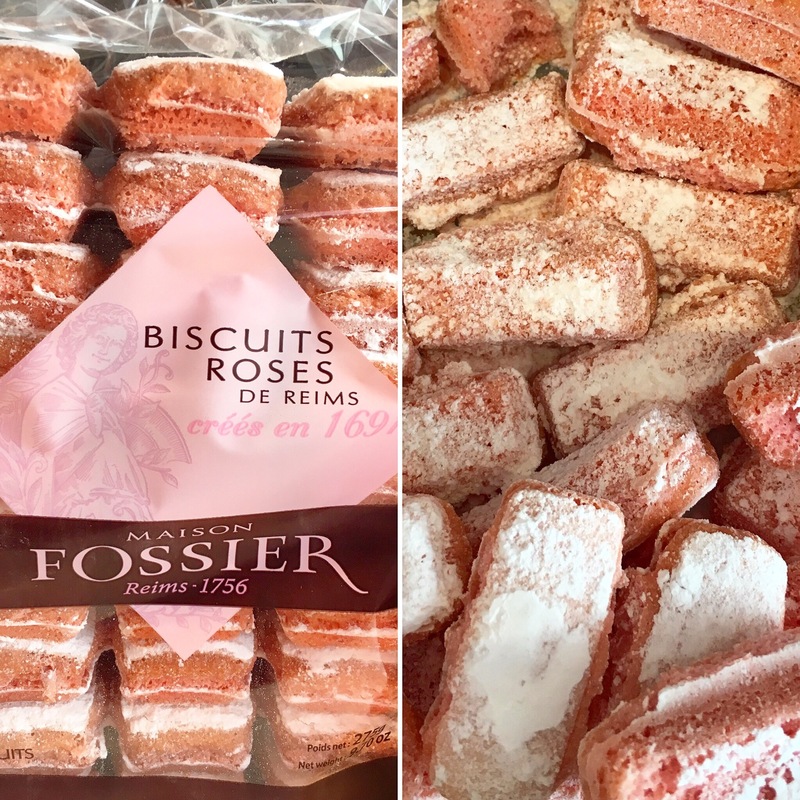 How about a visit to Maison Fossier, a traditional biscuiterie founded in 1756. Although their most famous creation was originally created in 1691. The Biscuit Rose was created by the bakers of the champagne region who wanted to use the heat of the oven after they had baked the daily bread. So they created a dough that after having been cooked once, could be left in the oven to dry out. Hence the name ‘bis-cuit’ which means cooked twice. Originally the dough was white and then it was decided to try adding vanilla to flavour the biscuit which was crushed with sugar but this created tiny black particles. So someone then suggested adding a red colour to the dough to mask this and carmine was used. Et voila the Biscuit Roses of Reims was born! The recipe and method of baking have remained the same since the beginning, conserving the double cooking method. There are two delightful traditional shops all in pink livery in Reims selling all of the product lines now produced by Maison Fossier and their factory has a shop attached. I brought back some of the pink biscuits and plan to try a dessert recipe in a tiramisu style! 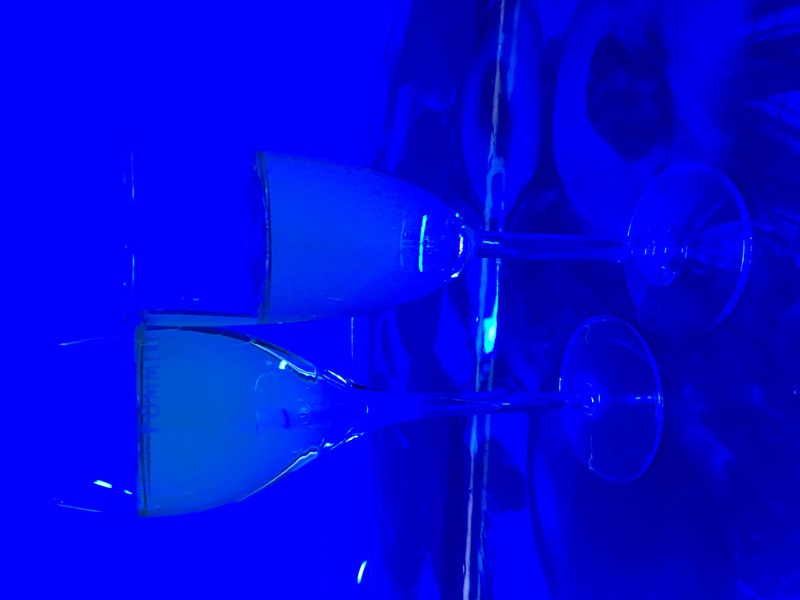 The one taste that you must be sure not to miss is the champagne! I was amazed at the number of champagne houses in the area. 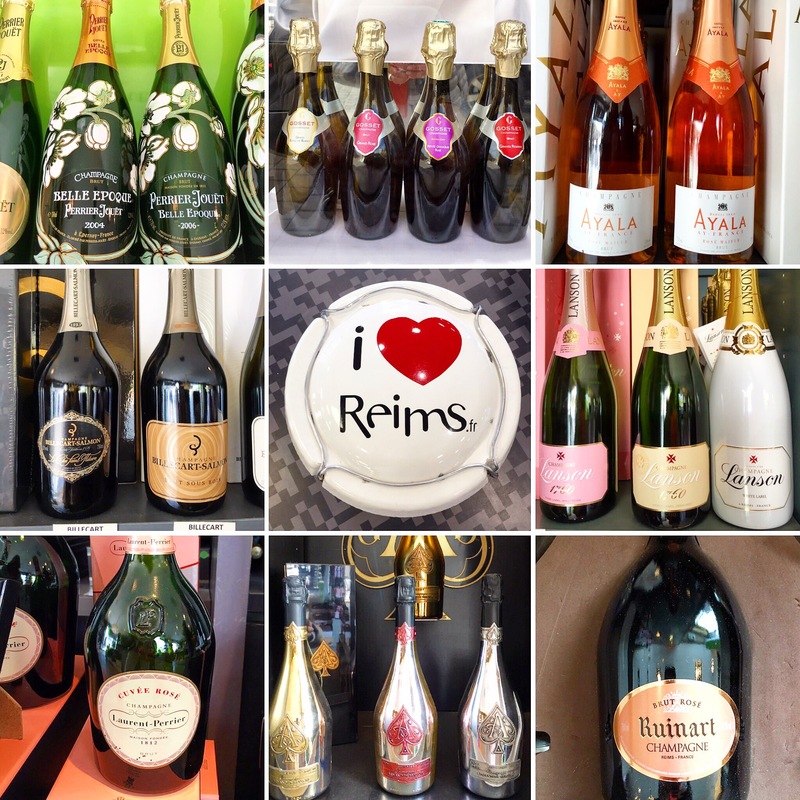 In Reims itself, there are numerous houses all offering tours of their cellars and tastings. 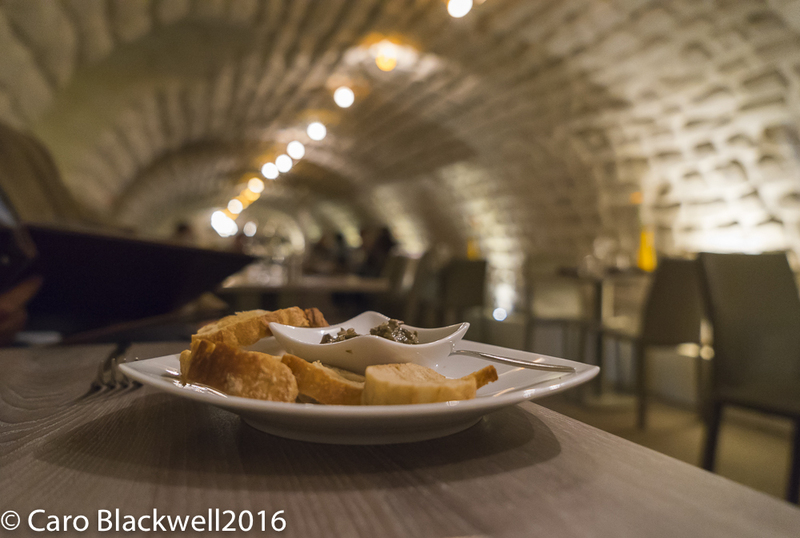 I chose to visit one of the larger and well-known names in Reims – Vranken Pommery as I was fascinated to see their many kilometres of caves. I had also heard of the amazing art collection housed within, both contemporary and classic art and sculptures. The Clos Pompadour is the name of the Pommery estate. There are 25 hectares of vines containing champagnes three major grapes, Chardonnay, Pinot Noir and Meunier. These are all grown within the enclosed Pommery Domaine in Reims. The imposing chateau, cellars and wine making buildings are a landmark in Reims. 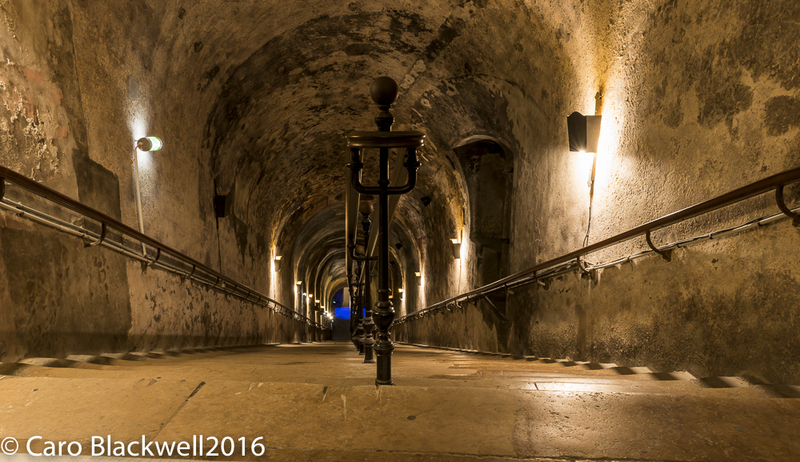 I took a guided tour, starting with an incredible flight of stone steps leading down into the cellars. 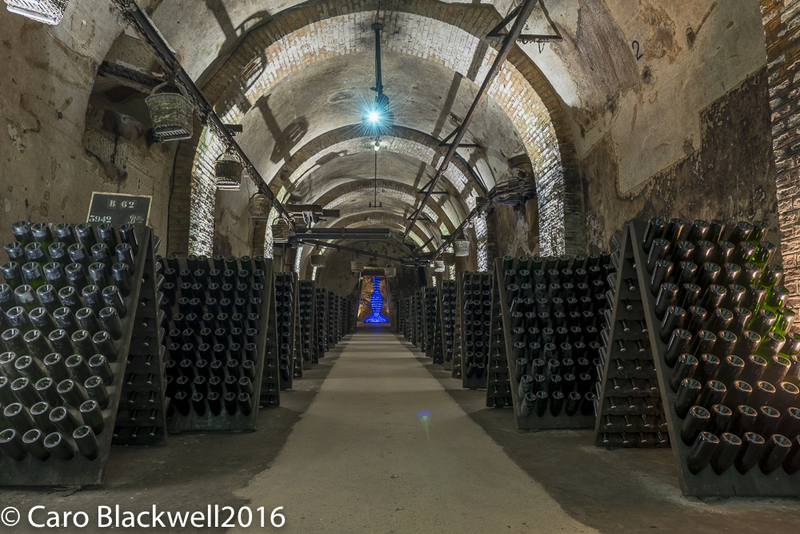 These cellars house more bottles of champagne in every size than I’ve ever seen and an amazing art collection. The art ranged from wall sculptures from the 1800’s to very modern installations. One of the many passages in the cellars, showing the baskets on the ceiling that used to be used as a method of transporting bottles. At the end of the passage is an art installation made up entirely of blue bottles. This interesting tour was followed by a tasting of their classic blue label champagne and a Grand Cru vintage from 2005. Guided tours are offered every day including weekends and holidays. The tours are available in English, French, German, Italian, Portugese and Spanish. The ‘Art of Champagne’ tour takes around 60 minutes and includes the choice of either one or two glasses of champagne. The next day I drove on the back roads from Reims to Epernay around the Montagne de Reims known as the Route touristique du Champagne . 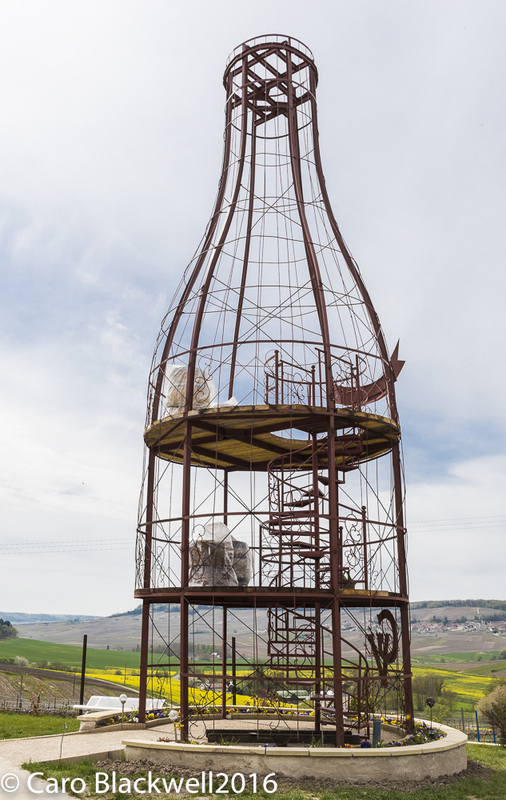 This took me through many very small Champagne producing villages. 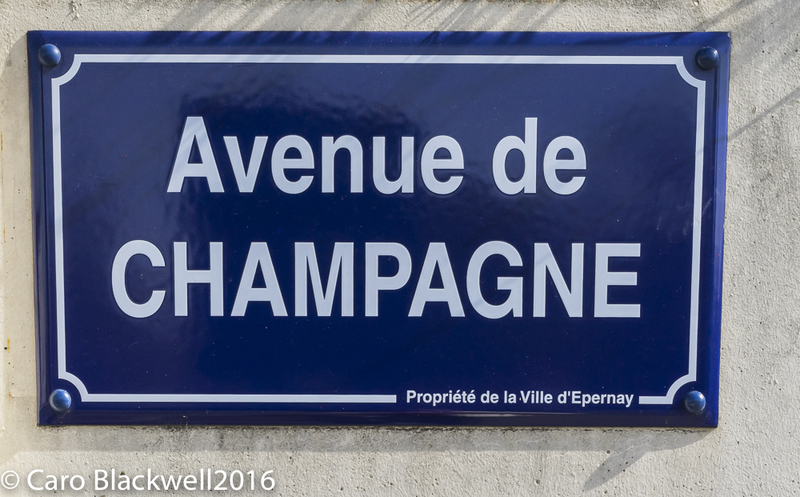 Champagne dominates in Epernay as in Reims with an aptly named street; The Avenue de Champagne where most of the big named houses are situated. At the beginning of the Avenue is the huge Moet et Chandon house and on the opposite side is the tourist office – a very useful place to go to make sure you get the most out of your visit. They have a daily list of which houses are offering tastings and tours in the whole area. 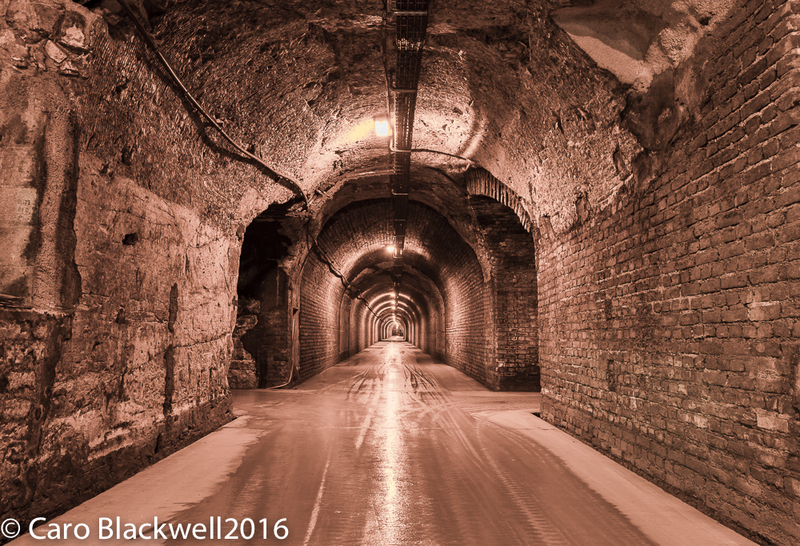 Under this avenue, known as “the richest avenue in the world” are 110 kilometres of cellars housing around 200 million bottles. Having visited a well-known name in Reims I decide to seek out one of the lesser known brands. And I really enjoyed a visit around the Champagne de Castellane Domaine on the rue du Verdun just off the Avenue de Champagne. This is an easily recognised building built in 1895. It is listed as a historic monument with an impressive brick built 66-metre high tower, that I was told during my tour was originally built as a water tower but not used as one. The building stretches along 2oo metres of the railway line which contributed to their success in the early days when rail was the main mode of transport as they had the ‘prime location’. Their vineyards are all around the Domaine on sunny hillsides. Thus limiting the movements of the grapes, which I was told enhances the quality. There are 6 kms of chalk cellars beneath the Domaine all housing the wine making production and bottle storage. This was a really interesting tour which included an insight into the modern champagne making methods. The tour took me through the disgorging, corking, bottling and labelling area. Did you know…that 1200 grammes of grapes go into one bottle of champagne and there are 6 bars of pressure in a bottle! All of their champagne rests for a minimum of 3 years although the rules of champagne dictate a minimum of 15 months for Brut. 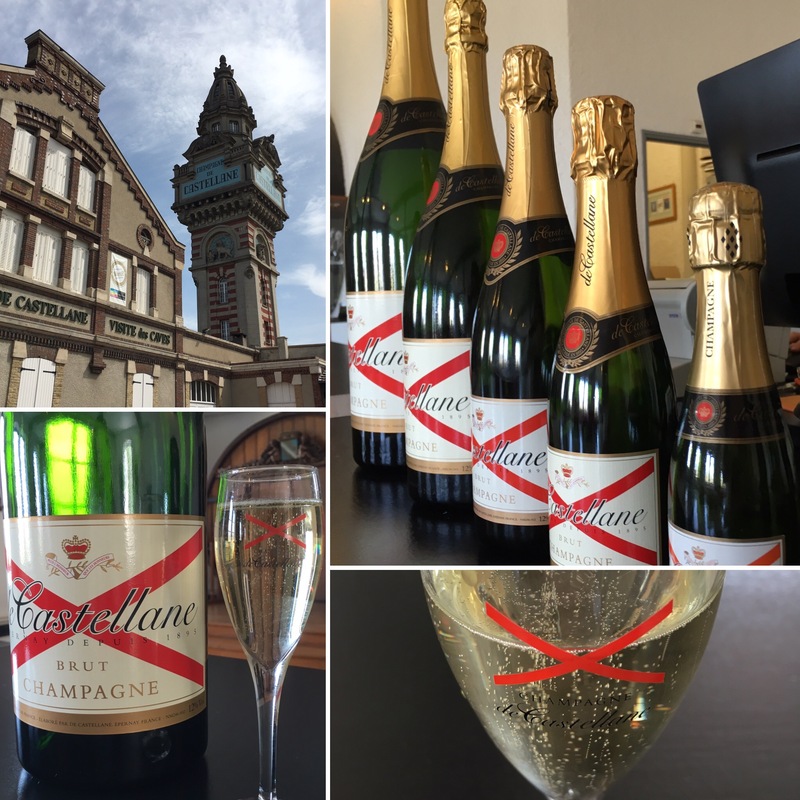 Around 80% of the champagne produced under the Castellane name remains in France. Castellane is another house that has a close affinity with art. There was a great display of old advertising posters by renowned artists, many of which feature the Red Cross of Saint Andrews a feature of the Castellane brand. 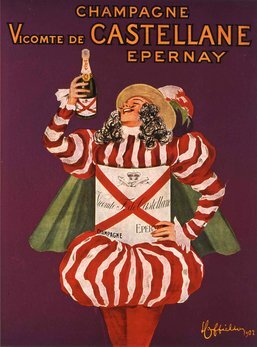 In 1902 Leonetto Cappiello designed their first advertising poster. 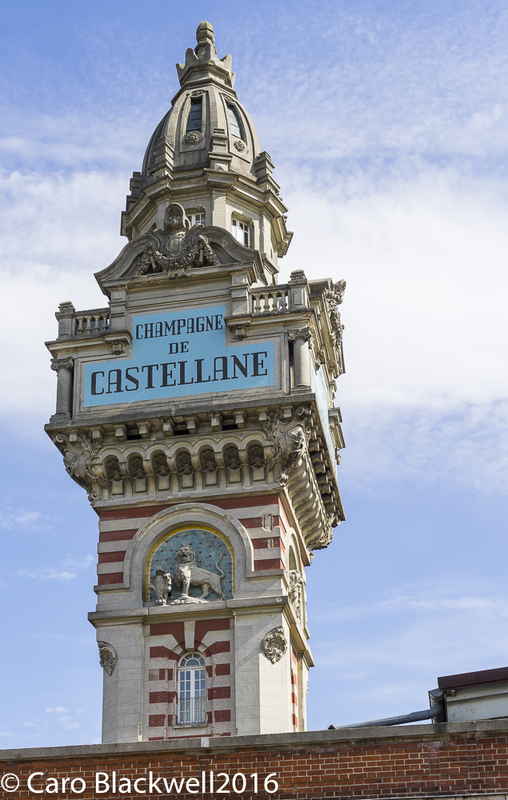 Castellane entered the Laurent Perrier champagne group in 1999 due to a marriage between the families and this is still a family owned business today. 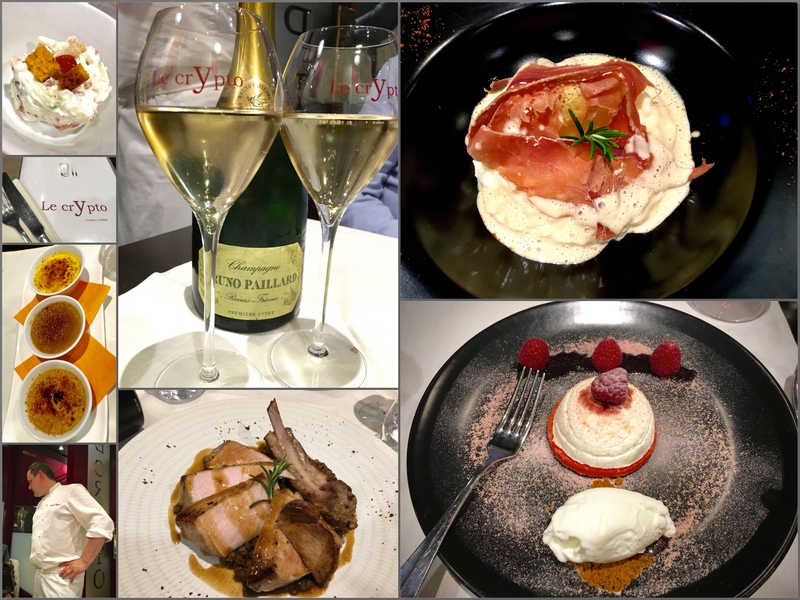 Eating in Reims was a great experience too, with a wide choice for all palates but after discovering the restaurant Le Crypto, I found it hard to beat. Situated on The Place du Forum a lively square in the town. One of the smaller and less touristy areas surrounded by old beamed buildings and bars. 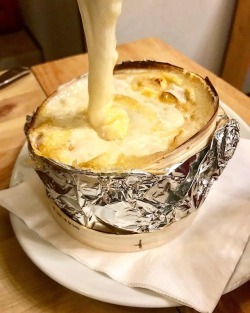 Le Crypto is an ‘upmarket’ cosy bistro-style restaurant with contemporary yet traditional french decor. There was a great atmosphere in the restaurant and we were so lucky to get the last table of the evening, so I would advise booking! The waiting staff were very friendly and knowledgeable. The menu offered four choices of each course, telling me everything was freshly cooked. Everything I ate was delicious and beautifully presented. 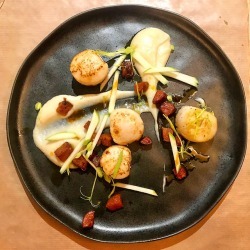 The chef/proprietor Frédéric Dupont came out of the kitchen towards the end of the service and walked around the tables chatting to his clients. This was a great personal touch and on meeting and chatting to him, it was clear that he loves his profession and is passionate about pleasing and knowing his clients. Other places we ate included The Bistro du Forum on the same square as Le Crypto. This is a lively bistro with a great outdoor dining terrace to take apero and watch the world go by. This was more fun casual dining in a lively atmosphere, good burgers and great fries! We also ate at L’Apostrophe which was described as a cafe, brasserie, piano bar. This was on a more touristy large square in the centre of Reims, Place Drouet d’Erlon which is a long street lined with bars and restaurants and outdoor dining. The street has a great fun atmosphere. We enjoyed L’apostrophe for its ambiance. It is a large restaurant and the interior is modern and fun with funky lighting. For me the food was good but not gourmet and the service was good even though they were busy. On our final evening in Reims I had booked the restaurant Alambic. This was rated No.5 on Trip Advisor at the time of our visit, so I was expecting good things. The restaurant building is on 2 floors the lower being in a cellar which is popular with diners. The food was traditional french and freshly cooked using local produce and well presented. The atmosphere was good and is clearly popular with the tourists. I really enjoyed my visit to this area in France and only scratched the surface of wonderful places to see and visit. So I would urge all of you rushing past on the motorway in your haste to get to the piste or beach, stop, rest a while and taste the champagne! very inspiring photos and comments. Thank you, Caro for sharing them. The pictures also confirm my excellent experience with you as a photographer!